Rosé is Here to Stay! It’s go time on summer and with that comes our shift to the “warm weather wines”! I don’t know about you, but I generally don’t touch red wine in the warm summer months since I want something that is refreshing and cold when the temperature outside starts to soar. Rosé has come mainstream lately, as it most certainly should. It took a bit of pushing though, as too many people looked at pink wine and were transported back to the White Zins and cheap blush wines their moms and grandmothers drank for so many years. I am here to tell you that today’s rosé has evolved greatly from those! Rosé is made just like every other wine, but the grape skins are only left in contact with the juice for a short time, rather than throughout fermentation like with a red wine. The longer the skins are left in contact with the juice and depending on the grape used, the darker the color of the rosé, which is why you will see all the colors of the pink rainbow when it comes to rosés (which is one of the reasons I love this type of wine!). Essentially, you can make pretty much any red grape varietal into a rosé. Many wineries even blend different varietals for their final product. The fun that winemakers have been having creating these wines is what makes the Washington rosé scene so amazing! 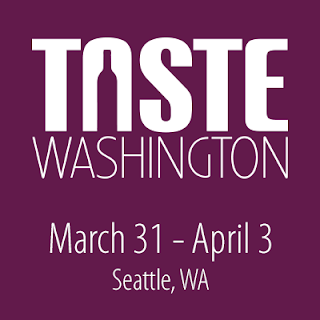 While there are way too many to even try to compile in one post, here are several that I have come across this spring through my tasting adventures locally and in Eastern Washington! 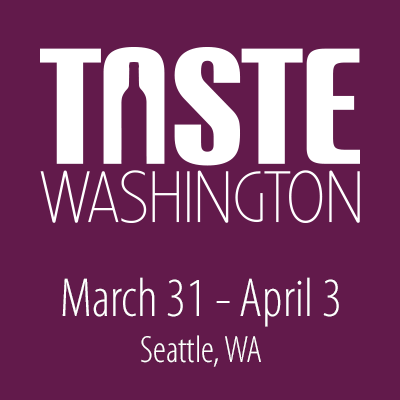 The Delights and New Finds of Taste Washington 2016! I attended this year’s Taste Washington Grand Taste on Sunday, which was a change from years past when we went for the Saturday tasting. I will say, the lack of crowds on Sunday made it quite the enjoyable experience! It was nice to have the ability to stop and chat with winemakers and actually taste through several wines without feeling rushed to step out of the way for the next person in line. It’s always a challenge to learn a lot about what you’re tasting at busy events like this, but I had a great time this year with the lesser Sunday crowd! As I have in the past few years, I made my focus trying wines from wineries I either had never heard of, or just had not had a chance to try yet. Boy oh boy did this work out in my favor as I found several great Washington wines that I can’t wait to try more of! I always walk into the Grand Taste with my go-to stops mapped out, so that I can make sure to hit the ones I have identified in advance. I took that approach once again this year, and managed to make it to many of the wineries and restaurants I had mapped out!